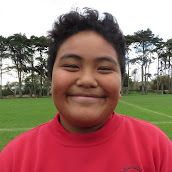 Hi my name is Lealofi and this is my animation is better together. I hope you enjoy my animation. Labels: 2019, animation, better together. There were six group. Tama fiafia, Mali mali katoa, Matariki, Batay, Tamati lelei and finally my group Tamati malso. We had camp leaders and our camp leaders were. Kahurangi and Evangeline: Tama fiafia mean happy children. Nina and Kitone: Mali Mali katoa mean happy children. Sivaenah and Tonga: Matariki mean seven sisters. Simon and Maddi: Batay mean children. Willie and Jane: Tamati lelei mean happy children. Siosiua and Norad-jade: Tamti malos mean strong children. I like killer zone is my favourite activity because I like playing with my friend. I was blocking and catching the balloons. I was scared because last year I thought that I was going to get hit in the eye. Talofa lava and Fafatai for all helpers and parents, for looking after when we go a sleep. Thanks helpers for making morning tea, lunch, afternoon tea and dinner. Our teacher Mr Goodwin took us in a mission. He was like a coach to us then we had mission, hooray. My favourite mission was the last mission, Mission 3 exercise the press up. WALT: use the structure of a recount to write about a Waitangi day highlight.